On Independence Day, we rode over to a home where the McNeill family has been hosting a celebration every July fourth for 57 years. Friends and family brought in flags from countries whose people came here and formed the United States, with music from the Wilmington Police Pipes and Drums band. Mr. McNeill's daughter gave an opening speech and his son read the Declaration of Independence. There was a twenty one gun salute from a nearby dock. The family invited everyone to come and eat. It was a huge party! 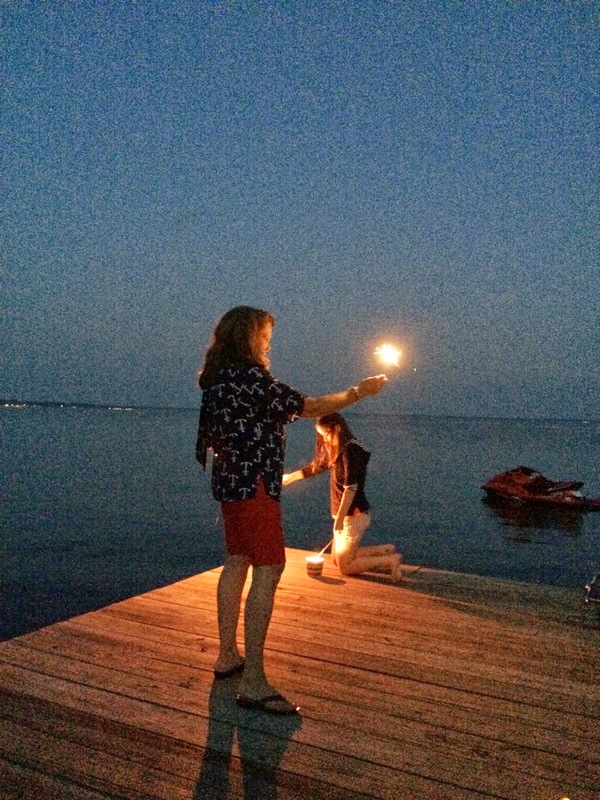 Later, in the evening, we sat on the dock and watched fireworks all around the lake. 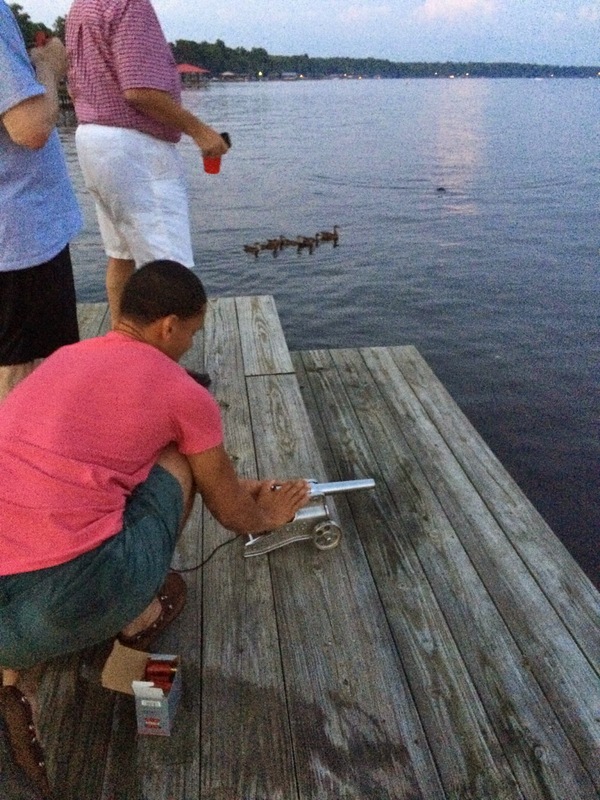 This cannon was as loud as a full size cannon and certainly scared the ducks. 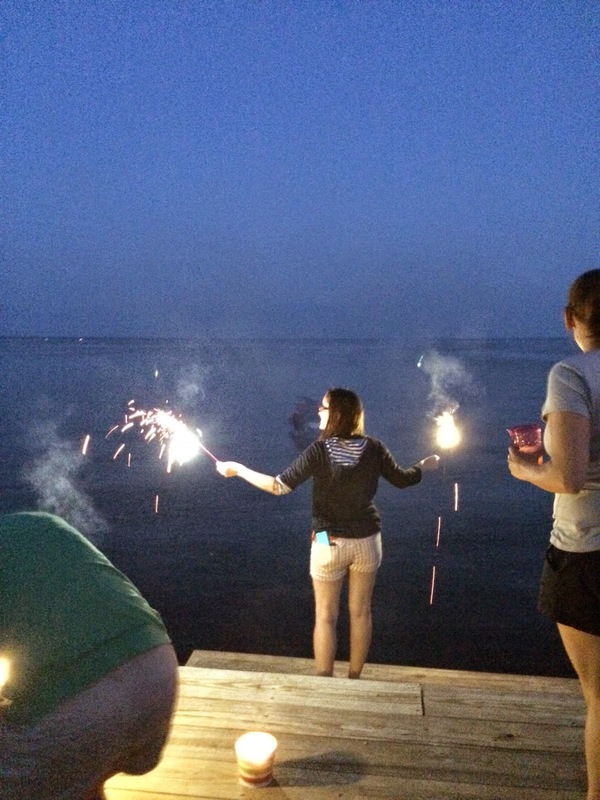 The sparklers were fun, too! 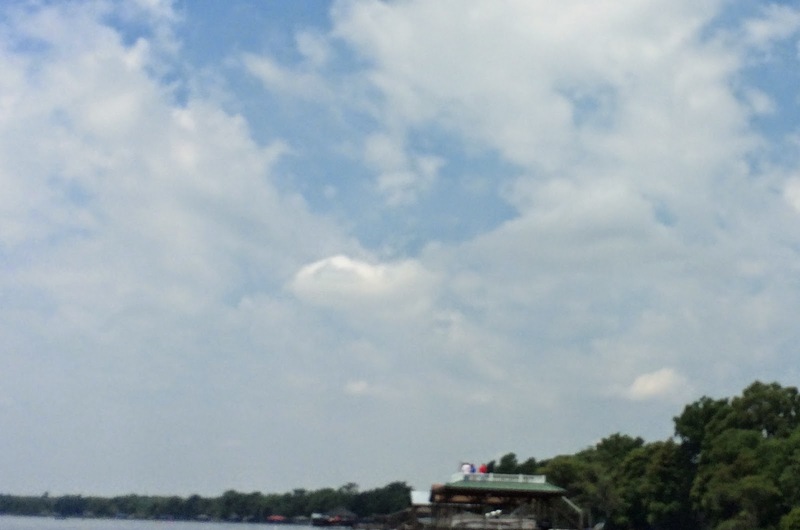 Spending the holiday at Lake Waccamaw was a new experience for me, and I loved the traditional reading of the Declaration of Independence. I really appreciate the Tharringtons letting me join them for Independence Day weekend!